Located in Concord, ON, DNS Industries provides custom manufactured retail displays, fixtures, and complete store designs. They service companies nationally and internationally. DNS prides themselves on providing the utmost quality in their workmanship, coupled with outstanding customer service. They have worked with such companies as: Sony, Coca-Cola, Adidas and many more. 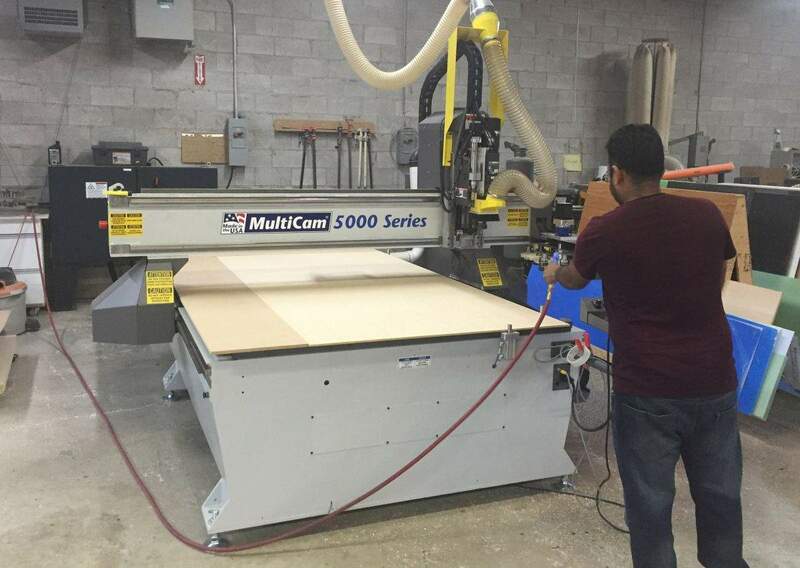 DNS recently added a 5000 Series Router to their 20,000 square foot manufacturing space to work along with a 3000 Series Router that was previously installed to improve their manufacturing workflow even further through increased efficiency. The 5000 Series is designed for high-speed routing in a broad range of woodworking, plastic and non-ferrous metal applications, which are easily configured to meet all of DNS’s application requirements.